First of all thanks for all the birthday greetings, they cheered my week up. Basically, the video shows a comparison between the original and the redone versions of some places and events. There´s some old footage from past videos, re-recorded with the new tile sets. 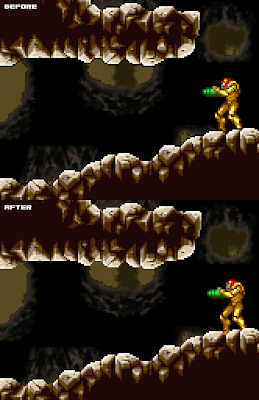 Oh, and you can see a Gamma Metroid, finally.